1195(1250, 1416, 1612, 1697, 1910) yds. Malabrigo Book 08: In Central Park Patterns - Frederick - PDF DOWNLOAD is a similar pattern: 16 (4 sts. / inch) finished gauge, adult tanks and vests garment, and worsted (19-20 sts/4 in) yarn gauge. 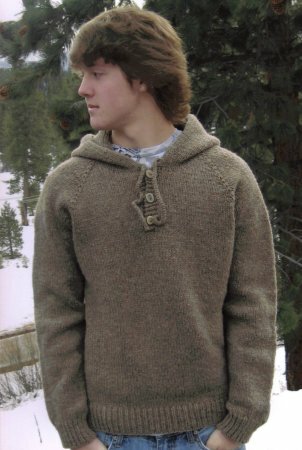 You may also like Universal Yarns Deluxe Cable Collection Patterns - Chapel Hill Vest - PDF DOWNLOAD, which is another similar pattern: adult tanks and vests garment, for men, and worsted (19-20 sts/4 in) yarn gauge. Hopefully our suggested yarn options for 264 - Neckdown Cardigan for Men can help you come up with your next exciting new project idea!